As voice search and artificially intelligent machines take over in 2017, the need for data syndication becomes increasingly prominent. Brands use data to gather key insights about consumer behavior and customers depend on accurate data in order to find local businesses and access information about products or services they need. As marketers look for innovative ways to implement the newest technologies to engage their consumers, local data is a fundamental aspect of optimizing for voice search and the Internet of Things. For enterprise brands with hundreds or thousands of locations, managing local data can often seem like an impossible task, but it is worthwhile one. Research indicates that 73% of consumers lose trust in brands with inaccurate business information, and 67% of consumers are unlikely to give a brand a second chance after getting lost driving or walking to a location. 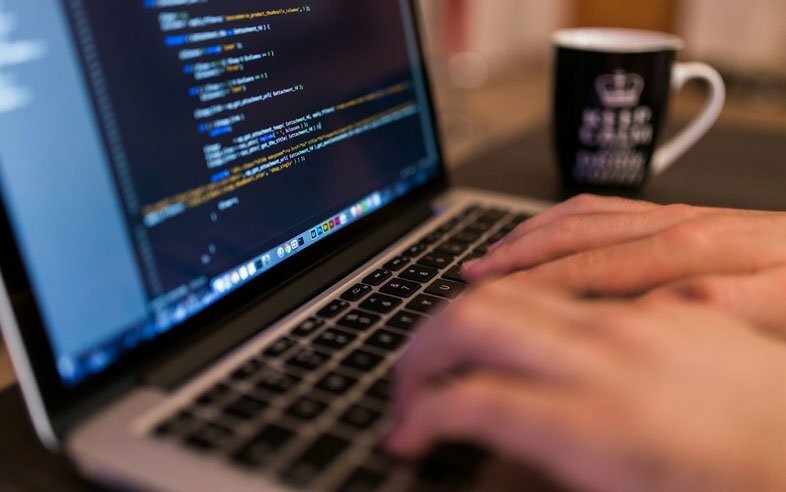 By focusing on data cleansing and working with only the highest-quality data publishers, brand data will gain authority and long-term impact. Data cleansing is the process of finding duplicate or inconsistent location information across various search and social platforms, such as Google, Bing and Facebook. Duplicate listings happen when a brand has more than one local listing for a single physical location in an online directory. This can happen because the brand’s local pages are unclaimed, a new page was created to update address information or because a customer could not find a local listing, so created one for a brand. Regardless of the reason, duplicate listings can hurt a brand’s ability to rank well, harming both visibility and customer retention. Inconsistent location data often goes hand-in-hand with duplicate listings, where duplicate listings for a single location also house different NAP (name, address, phone number) data or other crucial information. Inconsistent listings can also happen when information for the same physical store location is different across multiple directories or publishers, such as when address information for the same location is different on Google than it is on Yelp. Through data cleansing, duplicate listings are removed, address information is corrected, or “cleansed,” and local listings are claimed as brand-own properties to prevent further duplication and inaccuracies in the future. Data syndication is part of the bigger process of location data management. After your brand’s local listings have been cleansed and updated with complete and accurate information, data syndication is the process of distributing that local information across the web to increase your brand’s online authority and visibility. Part of the syndication process involves sending location data to data aggregators (e.g., Factual, Infogroup, Acxiom) and publishers (e.g., Google, Facebook, Bing) that push your brand’s location data across the entire digital ecosystem. These publishers have the ability to ensure that your brand’s local data is available anywhere that users perform nearby searches. Yet, while data publishers are an essential part of a holistic local search strategy, they are not all equal in quality. Data publishers are often split up into first and second tiers. Top level directory services have a broader reach, and are used by some of the leading search engines and local-social platforms. Lower level publishers often attract business through free listings management solutions that cover only NAP data and lack visibility in the SERPs. Tier-two publishers provide little value in terms of traffic and attribution, and cannot stand on their own for the long term. In order to benefit from long-term visibility and ensure the quality of complete location information, such as business name, address, hours, phone number and photos, enterprise marketers should focus on high-quality, high-impact directories and publishers that generate visibility in the SERPs and promote customer satisfaction. Brandify has partnered with over 18 top-tier publishers to offer the 360° Network, an enhanced listings and syndication solution with instant data distribution to our list of high-quality publishers. Brands can now manage location data in real-time, with key insights about the progress and impact of cleansed listings. 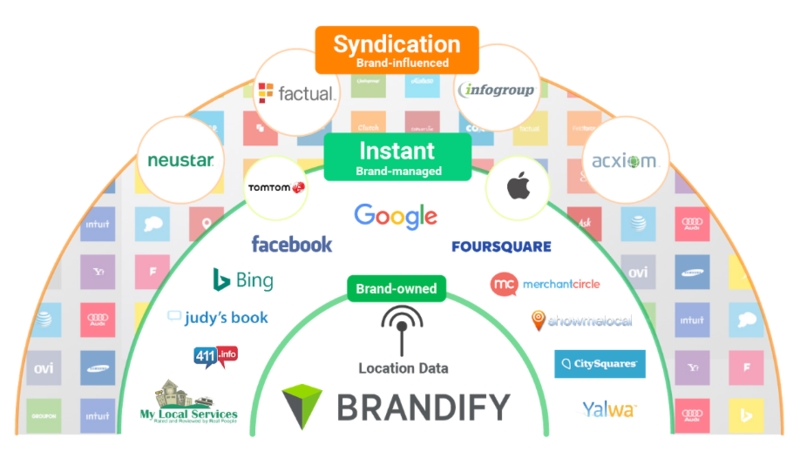 Brandify marries technology and service for long-term online visibility and authority. Demo the 360° Network to realize the full power of listings optimization today.